Manama: Saudi Arabia has lifted a ban on its citizens to travel to Lebanon it had imposed in November 2017. Saudi Ambassador to Lebanon Waleed Bukhari said that the ban was lifted after the reasons for imposing no longer existed and Riyadh received assurances from the Lebanese government. “Given the fact that the security reasons that prompted Saudi Arabia to warn its citizens against travelling to Lebanon no longer exist, and based on the assurances that the Kingdom received from the Lebanese government about the stability of the security situation, and its permanent keenness on the security of the Saudi citizens, the Kingdom of Saudi Arabia lifts its warning to its citizens traveling to the Lebanon, whether from the Kingdom or from any other country,” Bukhari said. Saudi Arabia will also release $1 billion of investments for Lebanese projects it had pledged at the Cedar Conference in Paris in April 2018. The fund will now be distributed among 20 projects. The Saudi decisions came after Lebanon was able to form a government after months of hard negotiations and deep frustrations. “We were looking forward to the formation of a Lebanese government as much as the Lebanese people. There are over 20 Lebanese-Saudi agreements that will hopefully now come into effect. 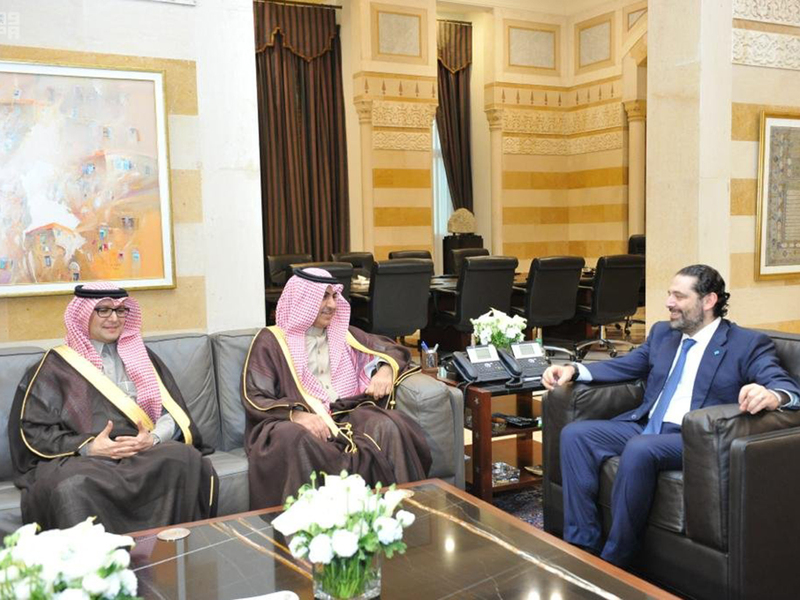 The mere presence of a government in Beirut allows us to move forward,” Al Alula said. The Saudi envoy insisted there were no links between his visit and that of Iranian Foreign Minister Mohammad Javad Zarif who had left Beirut the previous day. “The aim of my visit is to congratulate Lebanon on the formation of the government, which hopefully will be a good sign for the Lebanese and Arab peoples. If Lebanon prospers, we all prosper,” he was quoted as saying. Saudi Arabia and other Gulf countries imposed the latest ban on travel to Lebanon15 months ago citing security concerns. The ban resulted in steep drop in the number of Gulf tourists visiting the Mediterranean country.